Ethnic style is intended for stunning and luminous shades in your home. 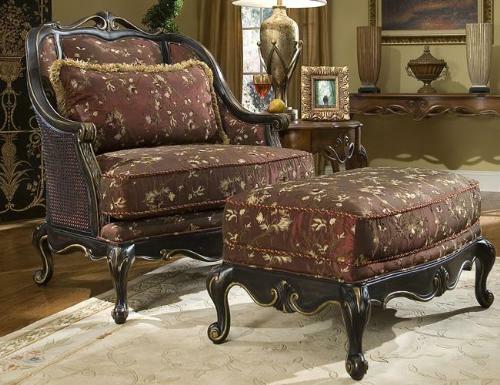 This style includes carved furniture and gives you a wide range of furniture options. In ethnic style, stunning designs are inspired by different cultures. Ethnic creates a warm and cozy atmosphere in the rooms. Vibrant colors and jewel tones are used in ethnic. Here are some tips to decorate your home in “Ethnic Style”. In this style carved articles of furniture provide real ethnic look. For your living room use a low-level sofa without arm; if possible, it must be in deep wine red color. Dark wood furniture such as Mahogany, Teak wood and Wrought iron furniture give ethnic look also. Dark wood adds elegance to your kitchen cabinets. Rich color scheme, fabrics, wall hangings, curtains, embroidery cushions, carved bed and tables; all these items give ethnic look to your bedroom. Bedroom with low-level bed, draped canopy or mosquito net or richly carved wooden headboard and dark wood carved table beside the bed give ‘ethnic style’ to the room. 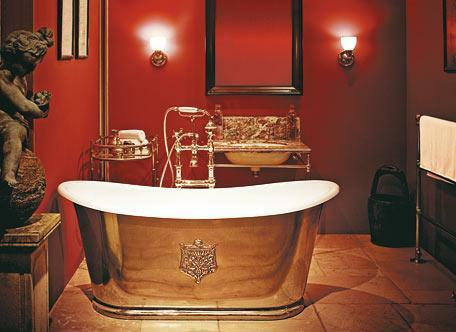 In bathrooms wrought iron and brassware towel rails, robe hooks should be used to present ethnic style. Mirrors with embossed frame look very attractive. 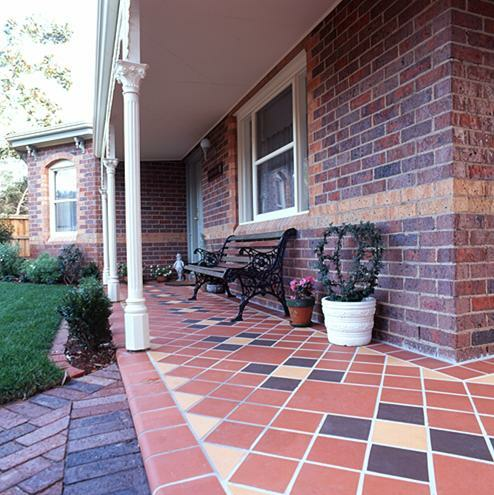 The use of terracotta tile and stones provide richness and gives an ‘Ethnic’ look to a home. Placing rugs give rooms a softness and richness too. Natural fiber flooring can also be used to imitate genuine flash carpeting. Finally if you really want to make your floors pleasing, use mosaic flooring in bathroom and lobby for ultimate attraction. The fabrics based on Ethnic theme (especially cotton) are the most popular patterns with bright colors. Vibrant, bold and embroidered ethnic fabrics are mostly used for curtains, cushions and bed sheets. Heavy velvet adds a Moroccan touch while cotton adds a touch of Indian style. 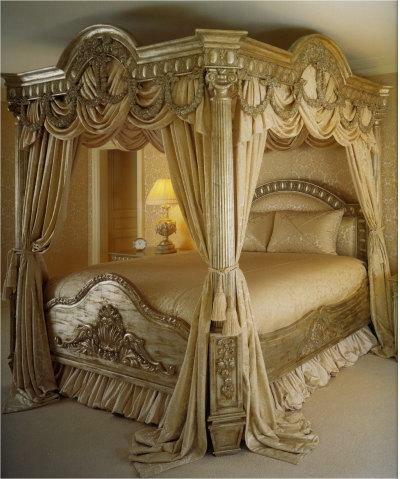 Indian fabrics are specially inclined to quality design in gold and silver embroidery. Silk, cotton and satin beaded cushions are ideal things and give luxurious touch to the bed. Hot and interesting colors like Gold, Turmeric, Red, Brown, Cobalt blue, Lime green, hot pink, Peacock shades are prestige of ethnic style. Silk canopy bed and layered muslin curtains add charm to the look of a room. 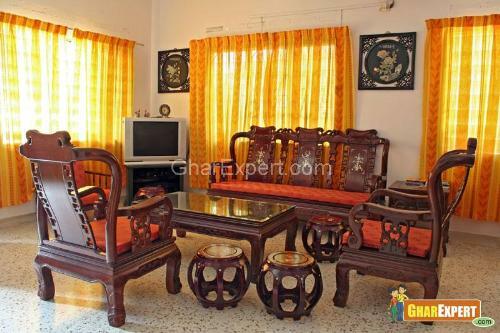 Use dark wood (Teak Wood) furniture for the décor of your rooms with Ethnic Style. 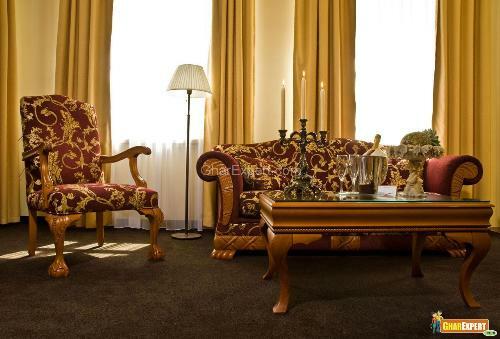 Keep accessories of golden and bronze colors to decorate the rooms in ‘Ethnic Style’. Embroidered and beaded curtains having tiny mirrors on front look nice. ‘Sari’, apparel worn by women in Indian culture hung with golden metal curtain pole adds an impressive or ethnic style to your bedroom. They must be nicely embroidered and decorated or beaded. Cushions must include tiny mirrors on front with embroidery. Silk, cotton and satin beaded cushions are ideal things for giving luxurious look to a bed for ethnic style. For Ethnic style you can use ancient paintings on wall as they provide a creative atmosphere to the room. These paintings give realism to viewers. They also provide amazing feel and add to beauty of your rooms. In these types of paintings, the use of golden, red, light brown, peacock and blue colors provides most exciting look to the room. These paintings give cultural look and gives neutrality to the room also. A feel of closeness (intimacy) is essential to observe ethnic style in your living room. Use wall hangings, carpets, brass lanterns, wall sconces to enjoy ethnic look in your room. Use soft lighting to provide a moody atmosphere.